While undoubtedly best known for her dancing, American Ballet Theatre principal Isabella Boylston has also been getting noticed for her style by Allure and Vogue—and with good reason. Her Instagram feed features a mix of on-trend athleisure wear and detailed dresses from runway designers like Valentino and Anna Sui, none of which would be complete without the makeup and hair to match. With a penchant for skin care and an ever-growing lipstick collection, Boylston talked us through some of her beauty must-haves on and off the stage. "Jordan used to be a dancer, and this is amazing for taking off stage makeup. It's a gel you put on your skin dry. When you wash it off, it foams as it picks up all of the dirt and makeup." "I use this at night after the cleanser." 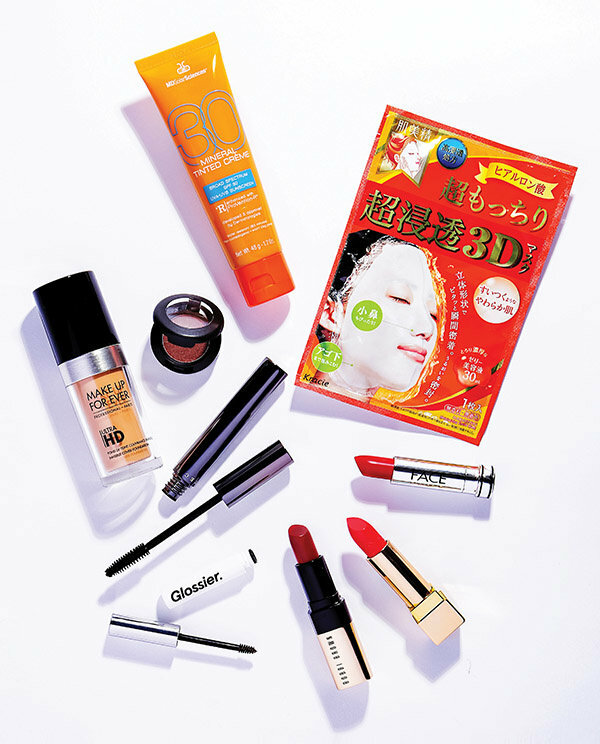 "If my skin looks dry, I use these Japanese moisturizing masks. Someone on a photo shoot recommended them, which is how I learn about most products." "If I'm not rehearsing or performing, I won't wear makeup. But I do wear sunscreen every day. I get this at Credo, an all-natural beauty store in SoHo. It's mattifying, but it feels velvety on the skin." "I use this more like a concealer, putting a little under my eyes, on my nose and on my forehead before blending it out." "I've been using this since I was 15. I even use it for my stage makeup. I just apply more." "I don't like waterproof mascara— even for stage." "I just brush this through my brows." "I own so many lipsticks, but this is my day-to-day color." "This hot pink is extremely bright, but it's also really flattering." "Janie Taylor gave me this as a merde gift, and I use it as my stage lipstick. It's matte, so it stays put and doesn't end up all over your teeth." "For everyday, I either wear my hair down naturally or in a ponytail. I don't even own a curling iron or a blow dryer. The only part of my hair-care routine that's elaborate is that I see Aura Friedman at Sally Hershberger for highlights. She's even dyed the ends pink before, which was really fun."